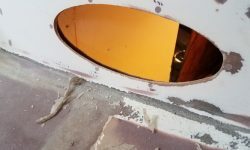 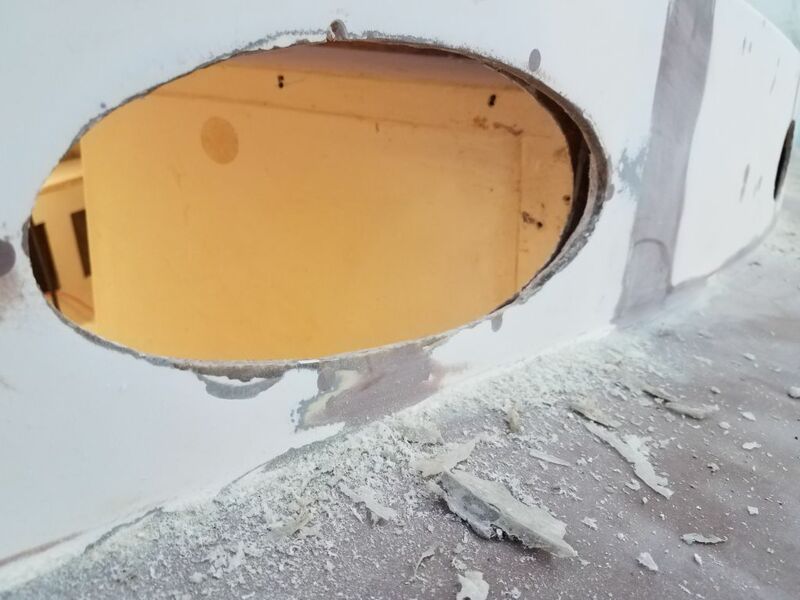 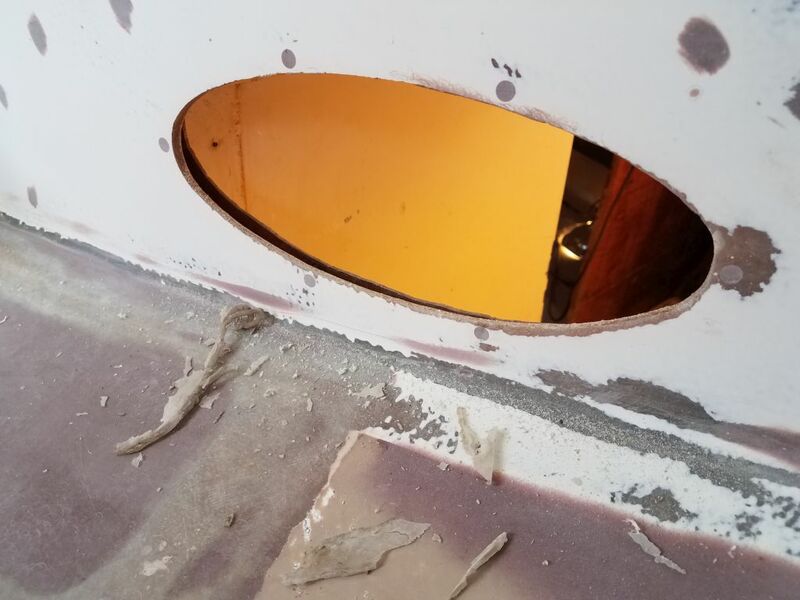 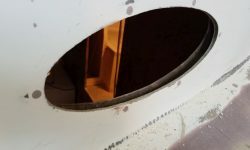 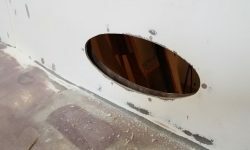 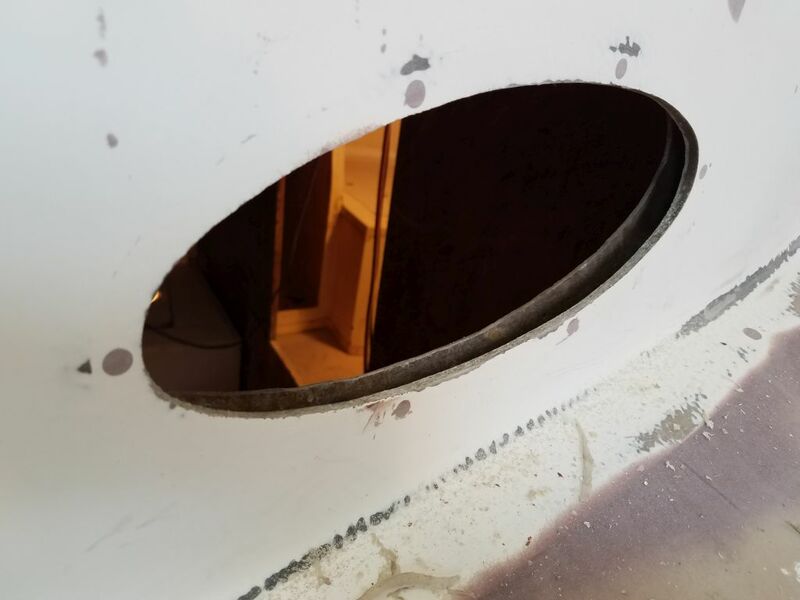 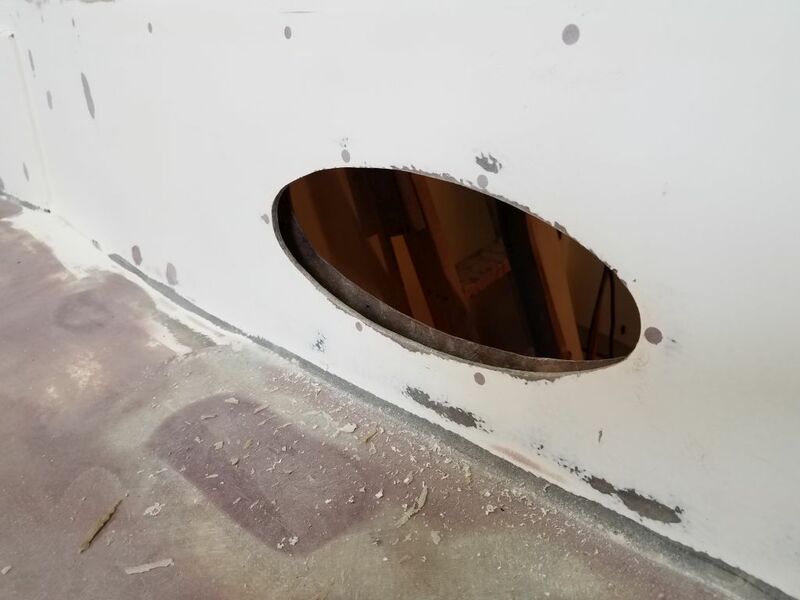 I finished up work on the porthole openings. 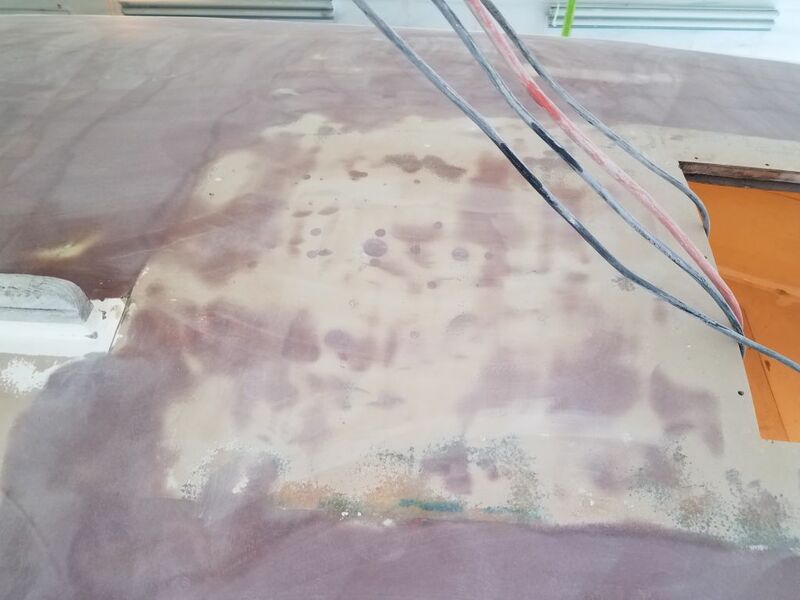 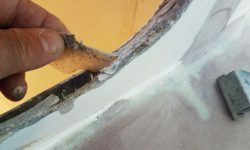 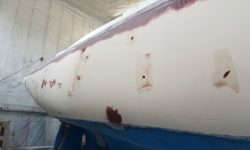 Fortunately, the three on the starboard side (which hadn’t ever been subject to whatever trauma had so greatly affected everything on the port side) were much less contaminated with silicone, so the job to finish the final four went more quickly than just doing the first two earlier. 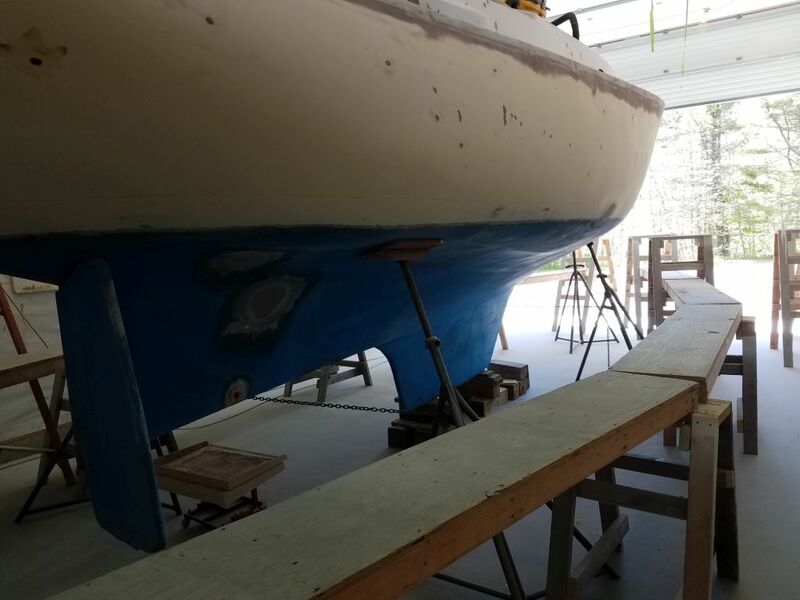 I had one short round of final (final for now, anyway) sanding on deck to take care of a couple areas where I’d applied epoxy filler last time. 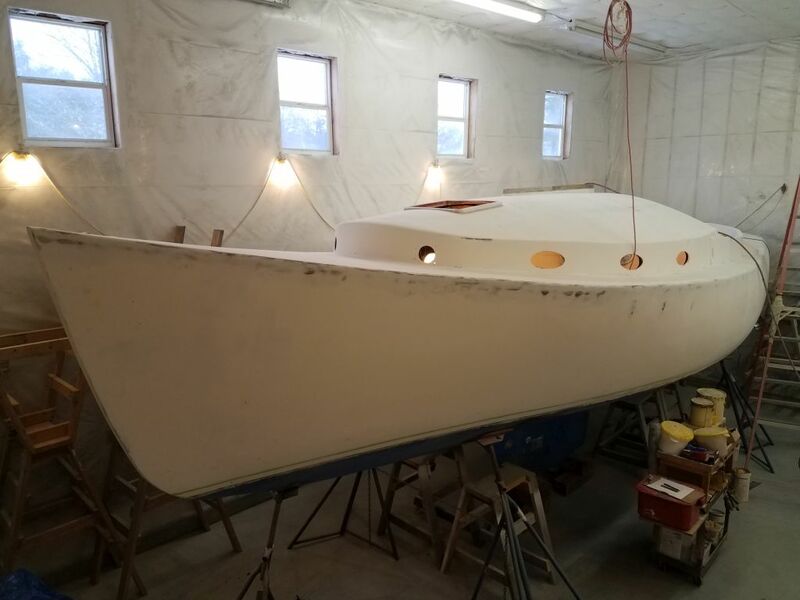 With that, I decided it was time to refocus on the hull, and also on the interior surface prep, so I spent some time resetting the staging down to a lower height to make working on the hull comfortable once again. 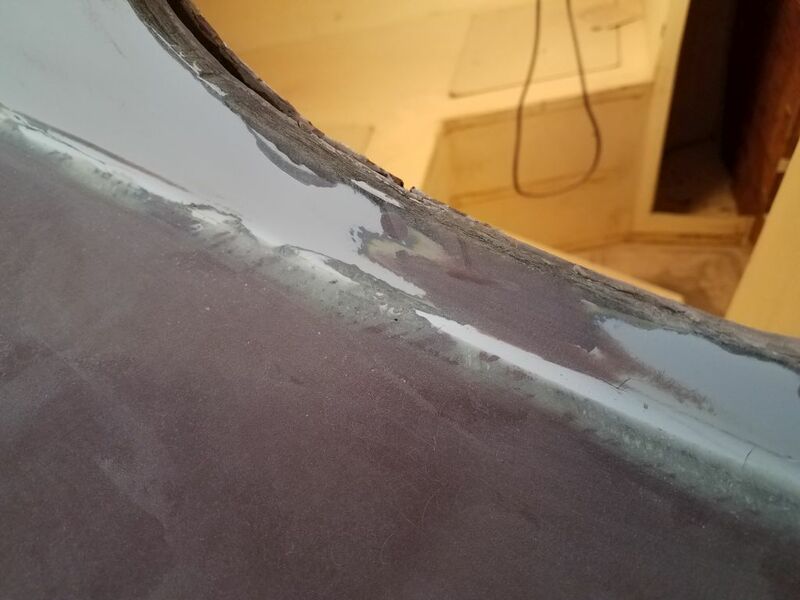 I’d already done a round of fairing filler and related sanding on the various small (and some larger) areas requiring it on the hull, but after a round in most areas I’d decided to wait till I had better access before continuing. 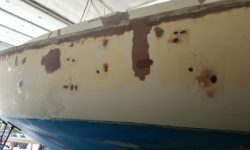 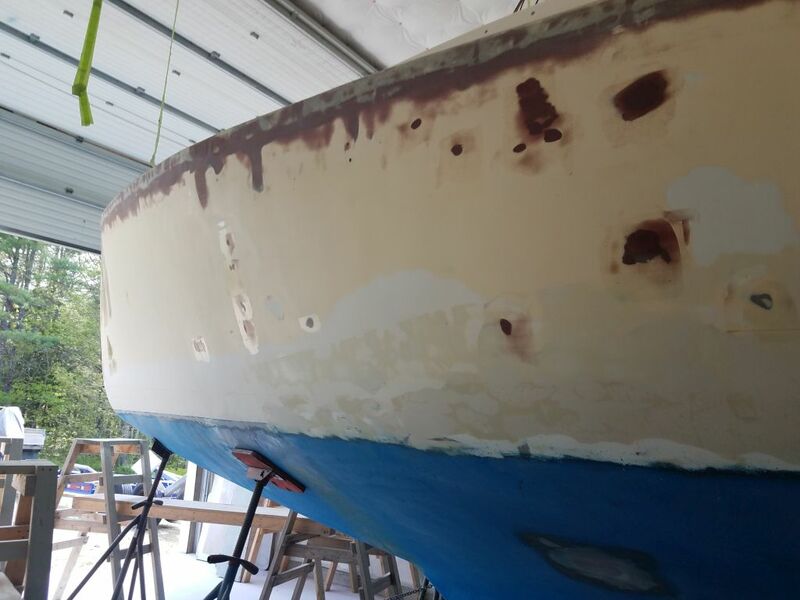 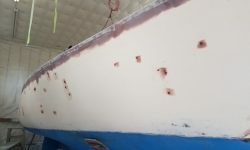 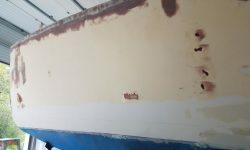 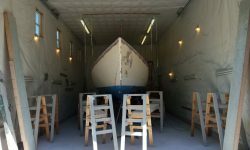 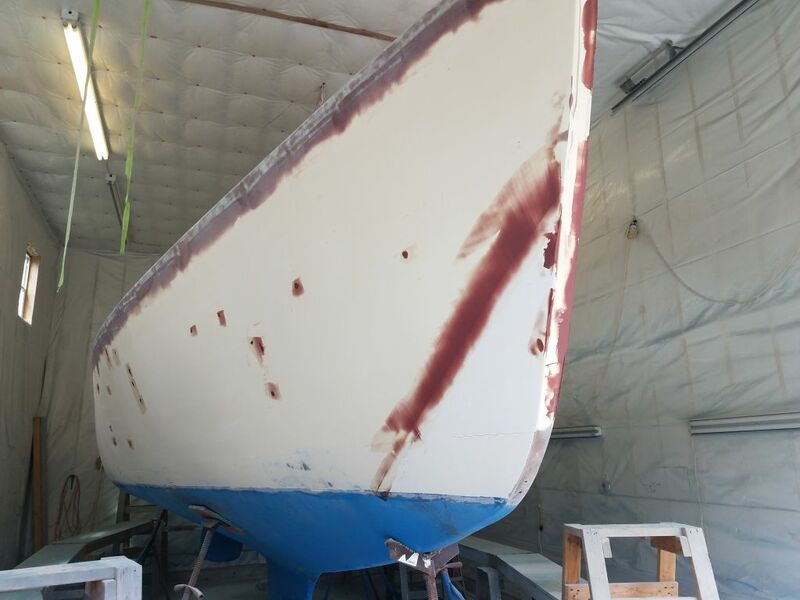 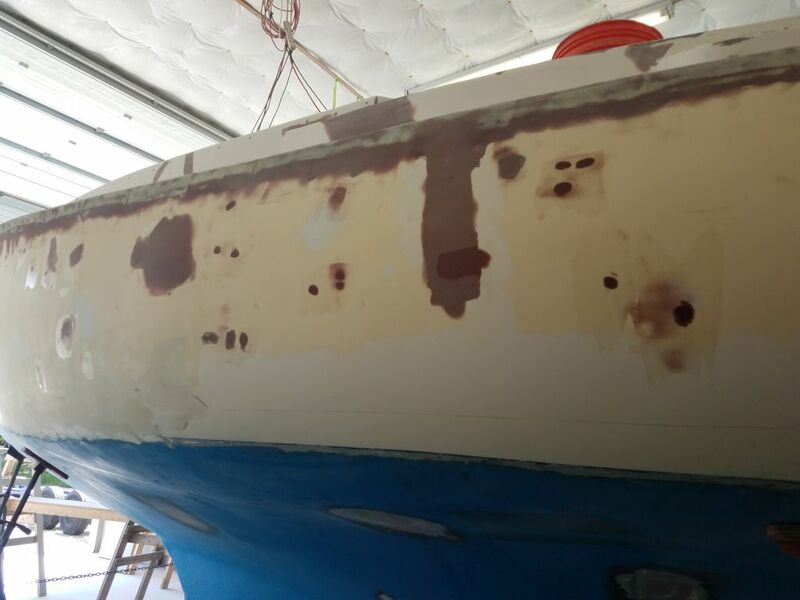 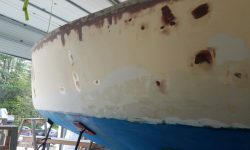 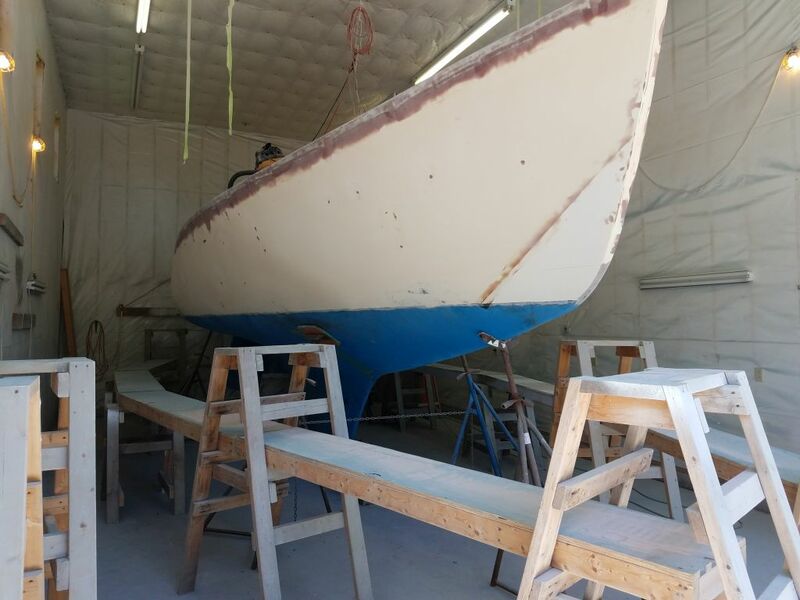 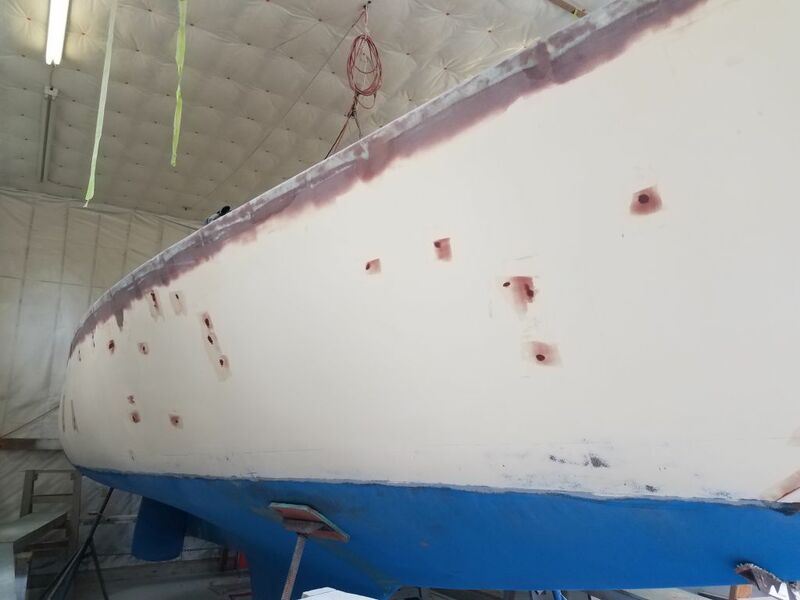 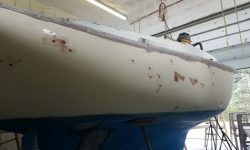 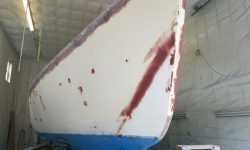 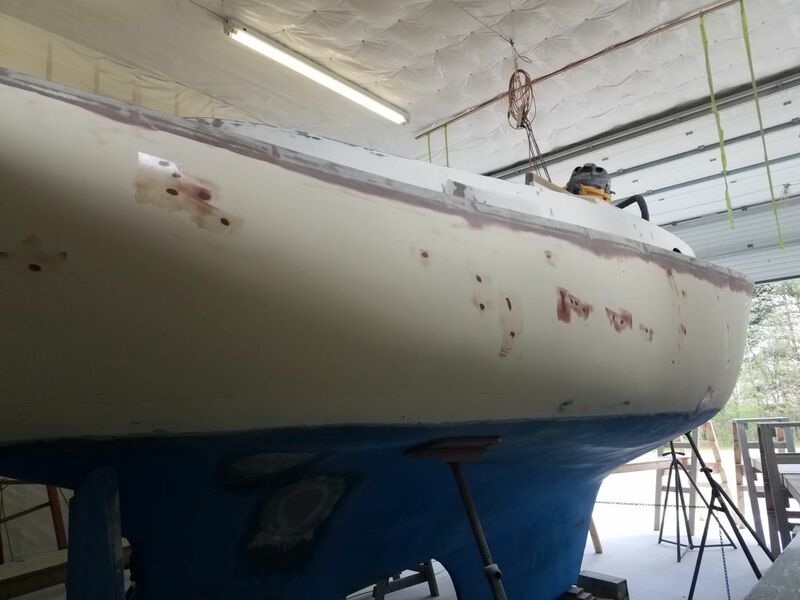 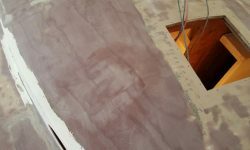 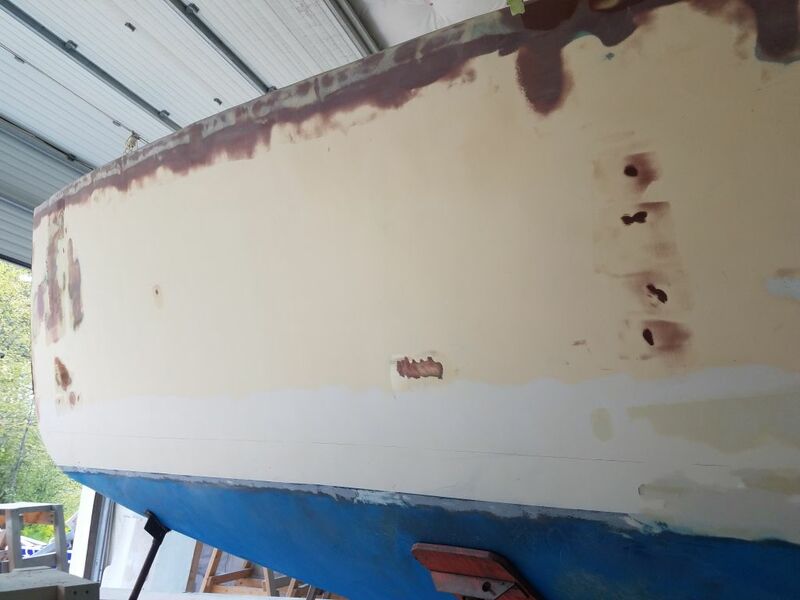 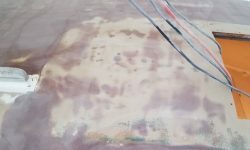 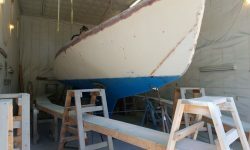 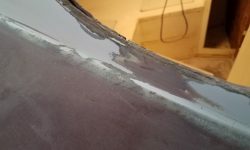 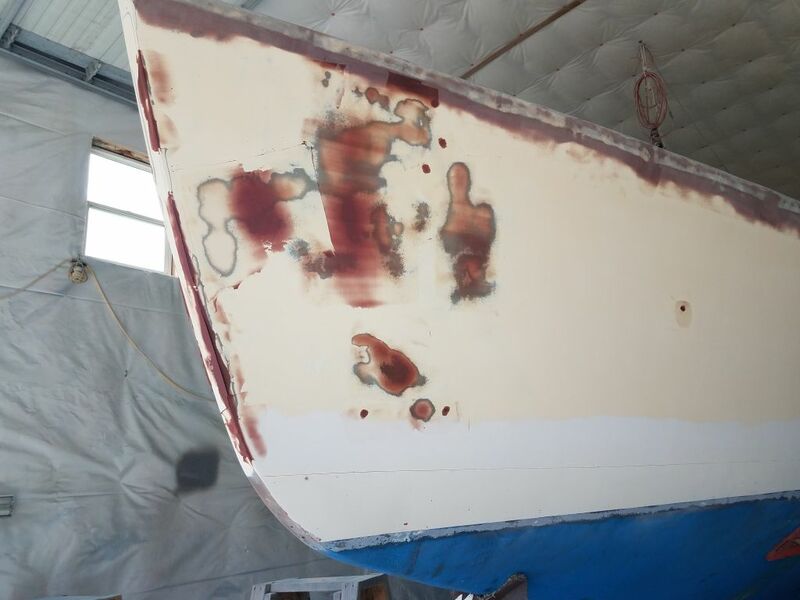 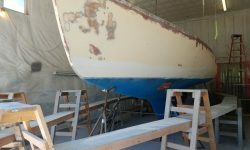 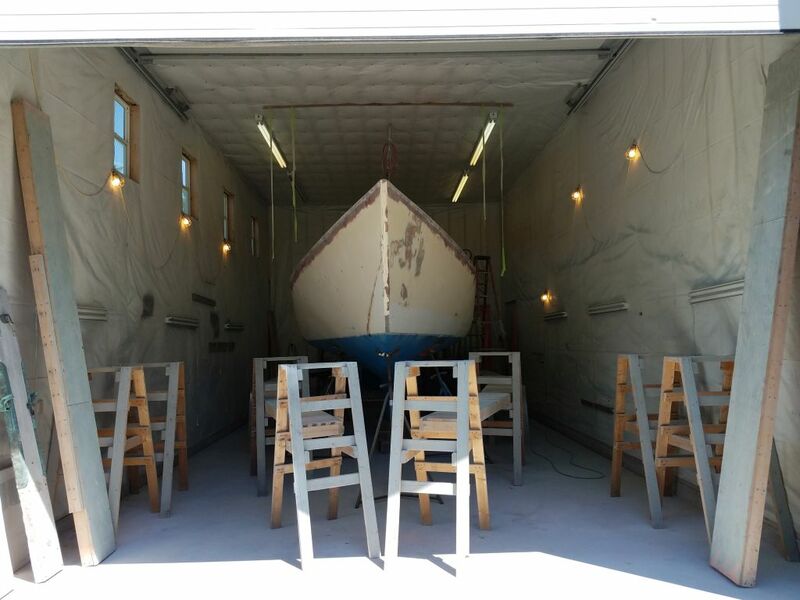 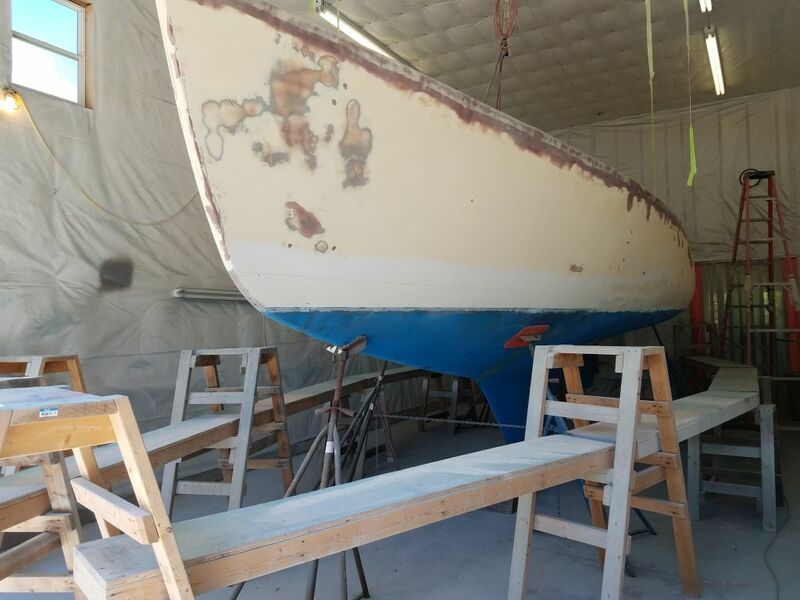 I’d lightly sanded all the spots after the first application, taking care not to go too far pending additional sanding to the entire hull that would be part of the process in the near future. 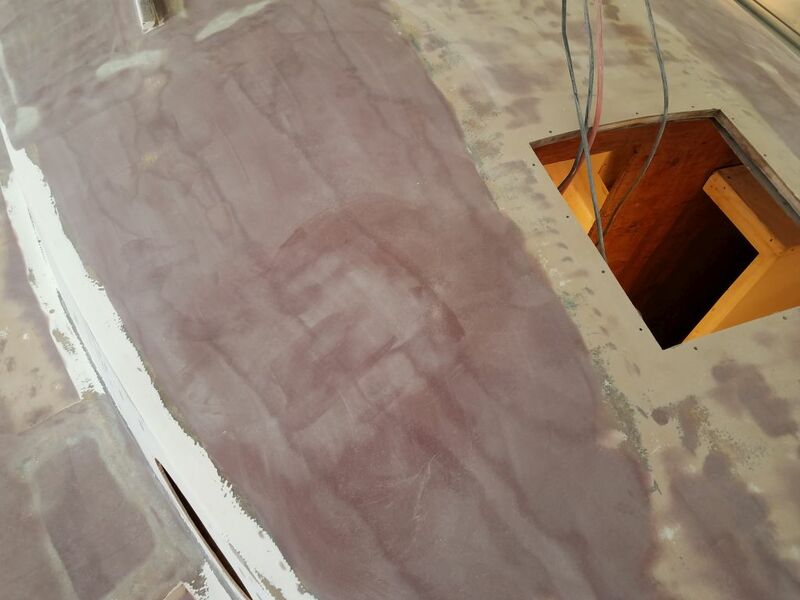 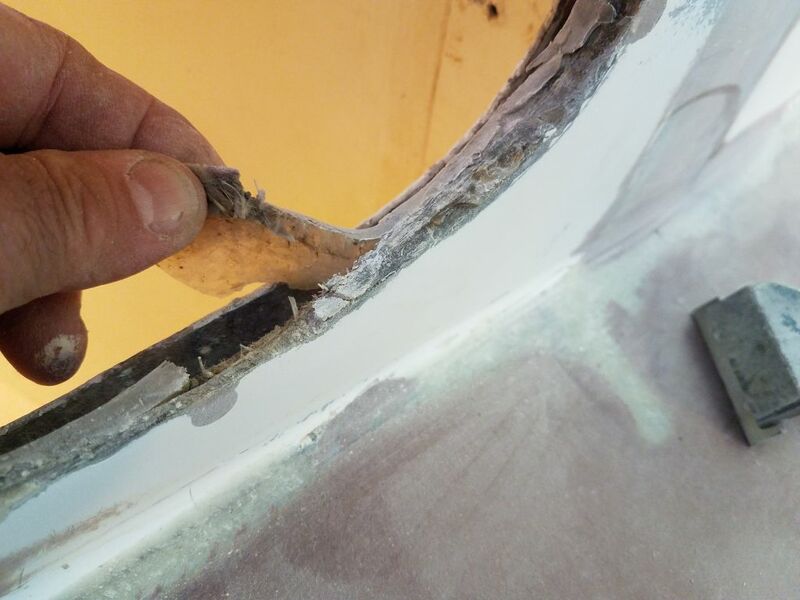 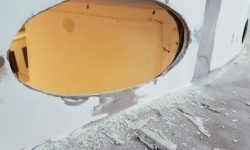 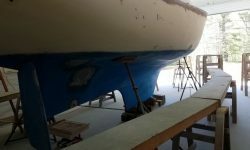 The hull side of the new hull-deck joint fairing would also require final attention and finish sanding. 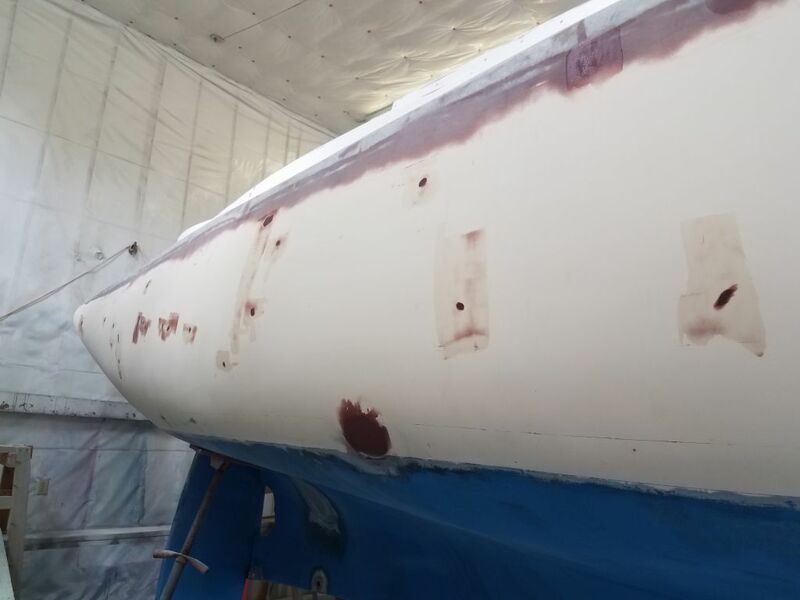 To prepare for another round of fairing filler where needed, I solvent-washed the entire hull, ensuring that I could spot-fill anything I found along the way that might need it. 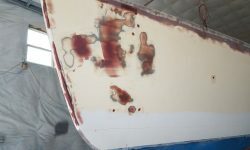 Afterwards, I applied more epoxy fairing compound as needed.